While major Android releases get the biggest new features, there is something in store for minor updates as well. With the introduction of Android 8.1 Oreo, Google made a number of interesting changes to the most popular mobile operating system that should make it run better on a very important category of devices: entry-level smartphones. Android Oreo (Go edition), which is part of of Android 8.1 Oreo, is optimized for devices with less than 1GB of RAM. Google says that it gets improved memory usage, optimized Google-made apps, increased hardware targeting options for developers and higher visibility for apps that target this category of handsets on Google Play. Android Oreo (Go edition) is, in concept, similar to the Android One project. It will be interesting to see how it works out this time around, seeing as Google's previous attempt did not fare quite as well as intended. Talk about Android One and Android One devices is pretty much non-existent these days. But Android 8.1 Oreo is not just about low-powered smartphones. Google also added a Neural Networks API, which enables hardware accelerated machine learning so that developers can add, among other things, "vision-based object classification" to their titles. These machine learning capabilities tie in with frameworks like TEnsorFlow Lite, which is Google's cross-platform library for the mobile space, and Caffe2, among others. What else is new? Well, Google also lists autofill enhancements and a SharedMemory API as the other noteworthy additions, but there are other, smaller changes in the mix as well, mainly targeting developers. 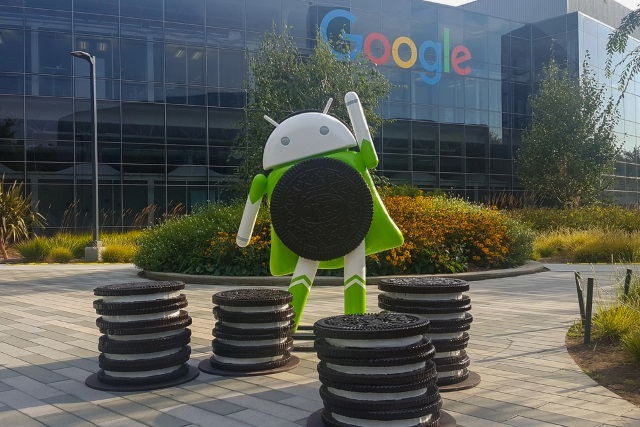 As always, the list of devices that support Android 8.1 Oreo at this stage is incredibly small, but Google promises that it is working with its partners to increase that number "in the months ahead."